Home » Blog » I’m Pregnant, Now What?!! Finding out your pregnant can bring out many different emotions. If you’re anything like me you may have felt a mix of disbelief and incredible joy as you stared at that little stick with its pink + sign for the first time after years of negative results! Or you may have not been trying to conceive and are still reeling from this unexpected news – trying to wrap your head around it all. But no matter how you initially felt about becoming pregnant, you are now indeed pregnant and may be wondering what should I be doing to ensure a healthy pregnancy? 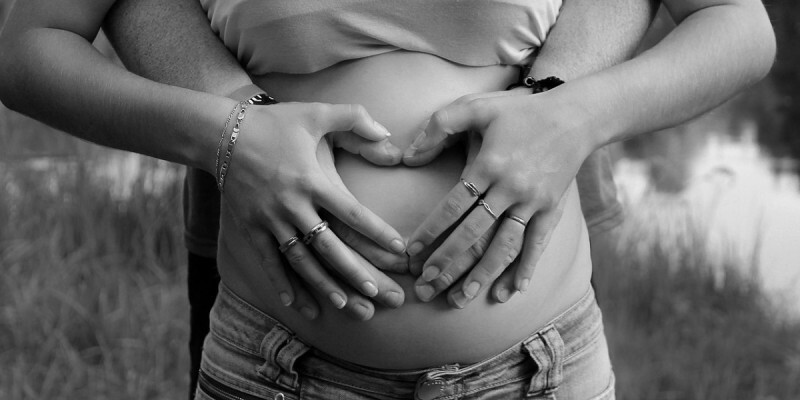 Here are some tips to help you have the healthiest and hopefully happiest pregnancy! You may or may not have heard the term “Microbiome” circulating in the news or your Facebook feed as of late. This new field of study has revealed that we humans are 99% microbial – our microbiome is made up of about 100 Trillion different bacteria. In fact the National Institute for Health established the Human Microbiome Project (HMP) in 2008 to collect and analyze human bacteria samples in an effort to better understand the role of the Microbiome on human health and disease. Additionally we are now aware that there is a tremendous connection between the health of your gut and your mental health. This video helps to further explain the wonder that is the Human Microbiome. Ok, great, but what does this mean to me and my pregnancy? The answer is it that it has a lot to do with the health and well-being of both you and your baby. Until recently, it was believed that, while in utero, a baby lived in a sterile environment; this belief is now is being challenged and is being replaced with new thinking that a mother’s gut microbiota actually transfers to her baby’s placenta via her bloodstream (source). Ideally, a woman will want to begin her pregnancy with a healthy Microbiome and then continue to foster it throughout her pregnancy. 1) Eat as close to a clean diet as possible, by reducing your intake of refined sugar and processed foods and replacing them with whole grains, nuts, seeds, fruits and vegetables. Many of us have what is know as candida, or yeast overgrowth, which occurs when the bacteria in our body is out of balance such as after the use of an antibiotic. To restore the balance, it is best to reduce or eliminate sugar, which feeds the yeast. By eliminating sugar and eating whole foods, you are starving the yeast and feeding the good bacteria, which enables a healthy balance in your gut and ultimately a healthier you and baby overall. Sauerkraut – or fermented cabbage, has been found to have a powerful impact on the mental health including depression and anxiety! For the greatest probiotic benefit, make your own at home with just 2 ingredients. Kombucha Tea, – this carbonated, fermented black tea contains a variety of microorganisms (4-7 per serving). You can either purchase Kombucha or make your own at home. Pickles – known as the “gateway” ferment, pickles are easy to make and a great place to start for those put off by fermented foods. 4) Avoid taking antibiotics unless absolutely necessary. 5) Skip antibacterial products such as hand wash and cleaning products, which destroy both good and bad bacteria. With 40-60% of the population deficient in Vitamin D, it is a good idea to have your vitamin d level checked which is done through a simple blood test (source). Keep in mind that the average prenatal vitamin only contains about 400 IU of Vitamin D and the current recommended dose is now 4000 IU’s. You can get Vitamin D from food-based sources such as egg yolk (free-range are best), salmon, cod liver oil and of course from milk. Also be sure to get about 10-15 minutes of sun exposure on face, arms, feet 3 times per week. The most effective way to ensure you are getting enough Vitamin D is to supplement. The Vitamin D supplements on the market come in different formulations including drops, tablets or capsules. I prefer the drops personally because they are easy to add to your morning coffee or juice. Some sources also taut its ability to reduce morning sickness in early pregnancy (source). Why Are People Deficient in Magnesium? There are many causes including modern farming practices, which have neglected to properly rest the soil resulting in the depletion of magnesium. Additionally, many of us drink water that is treated with fluoride; fluoride binds to magnesium and creates an insoluble compound. Water from deep wells or springs are excellent sources of magnesium if you are able to find a source. Keep in mind that bottled water is typically low in magnesium. You can also unintentionally deplete magnesium level by consuming: alcohol, coffee, sugar, and processed foods – all foods and drinks to avoid during pregnancy anyway! To learn more about Magnesium supplementation check out our blog on How to Increase Magnesium Levels. Stay Tuned! Our next blog in the I’m Pregnant, Now What Series will focus on choosing a birth provider.